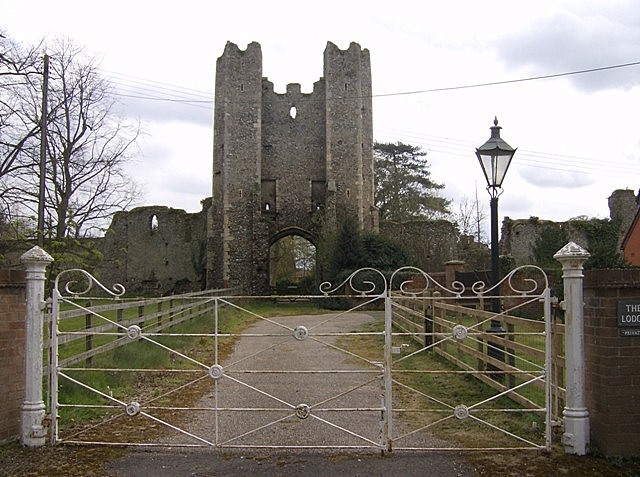 Notes: Mettingham Castle was a fortified manor house in the village of Mettingham, Suffolk, England. Today the site is a scheduled monument and a grade 2 listed building; the gatehouse still survives, as do some of the stone walls and many of the surrounding moats and earthworks. In the 21st century a major renovation project occurred at the castle to repair the worsening damage, involving a grant of 330,000 by English Heritage.